We have our smartphones, our computers, and what not to ensure we live a comfortable and easy life. But what if one day all the machines in our lives were taken away? Would we survive? Would we lead happy lives? 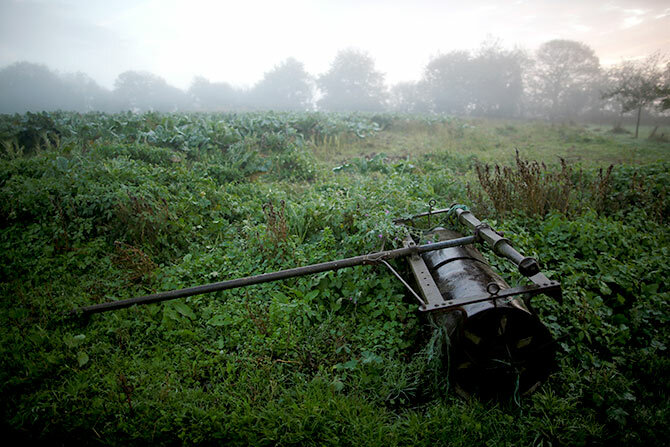 French Farmer Jean-Bernard Huon, who lives in a corner of southern Brittany on France’s west coast, shows us what life would be without machines. When farm machinery revolutionised French agriculture in the years after World War Two, a young Jean-Bernard Huon turned his back on the new technology and continues to do so till date. 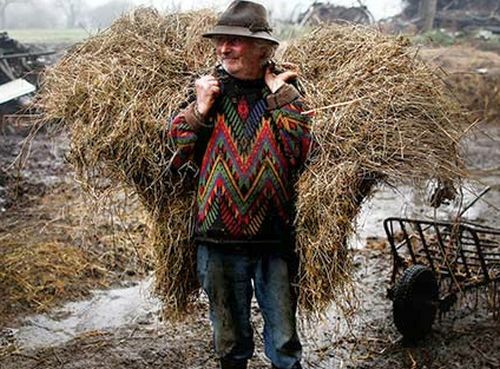 French farmer Jean-Bernard Huon, 70, carries hay at his farm in Riec-sur-Belon, France. 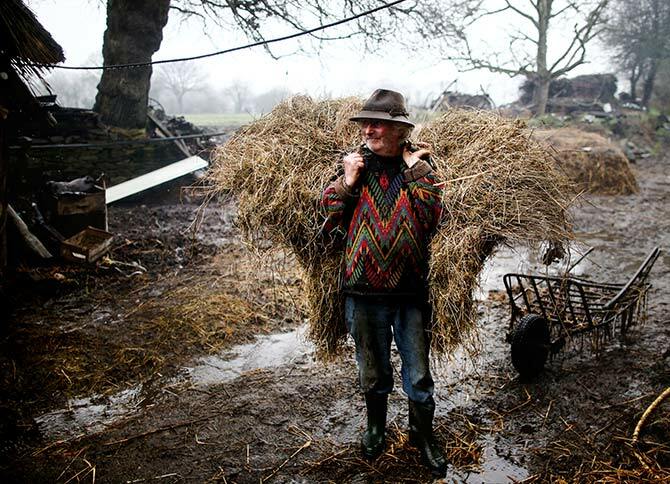 Huon’s manual approach to subsistence farming makes him a rarity in the European Union’s biggest agricultural economy. 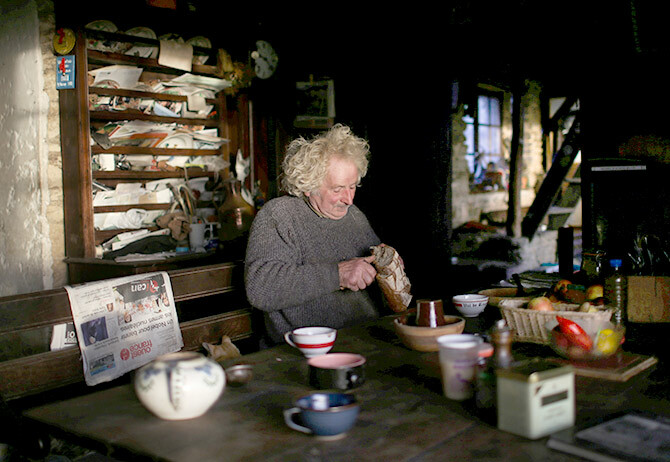 He shuns France’s hypermarkets, instead selling his pork, veal, and butter to those who visit his ramshackle farm. 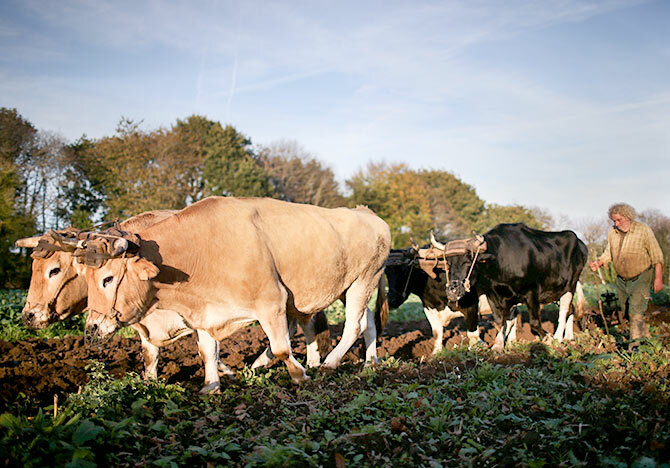 Huon, 70, ploughs his land with oxen near his farm in Riec-sur-Belon, France. In the last decade, he's made some concessions to comfort. He switched from work horses to oxen that are more docile. More recently, as age imposes its own limits on his activities, he invested in two tractors for the heavy-lifting of hay. 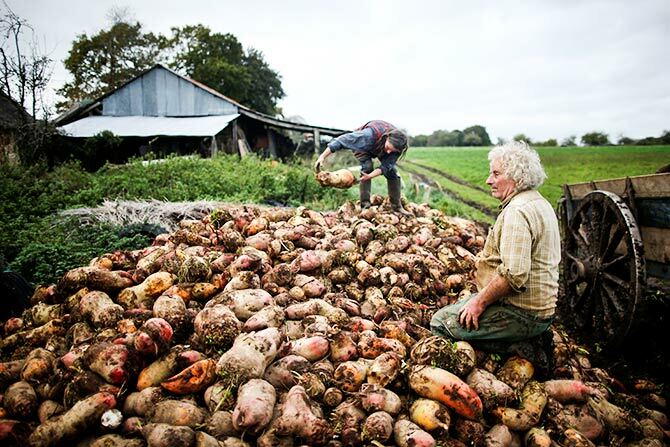 French farmer Jean-Bernard Huon, 70, and his companion Laurence harvest beets on their land near their farm in Riec-sur-Belon, France. 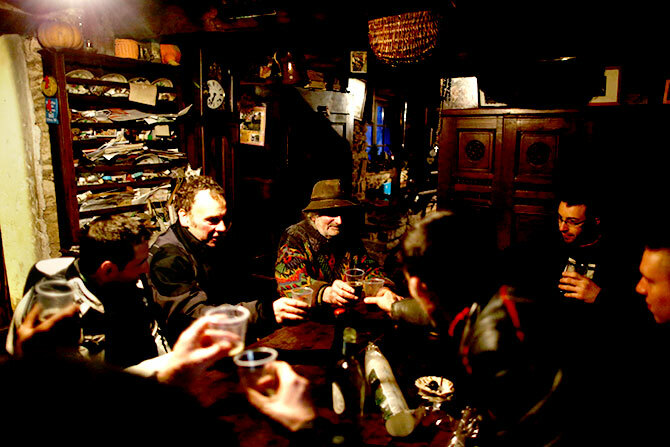 French farmer Jean-Bernard Huon, 70, toasts with bikers during the annual biker rally at his farm in Riec-sur-Belon, France. 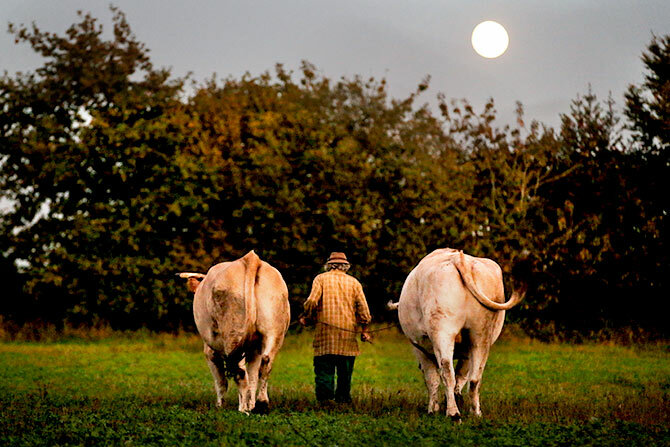 French farmer Jean-Bernard Huon, 70, walks with his oxen on his land near his farm. Huon will not criticize farmers who embrace modern-day machines and chemicals, including those who use the weedkiller glyphosate, the subject of intense debate in Europe over its potential health risks. Farming equipment lies on the ground near Huon’s farm. Huon hopes to find a successor to preserve the traditional spirit of the farm, which he plans to donate rather than sell. Nonetheless, he recognises that whoever follows will have to make changes as regulatory pressures become ever tougher. 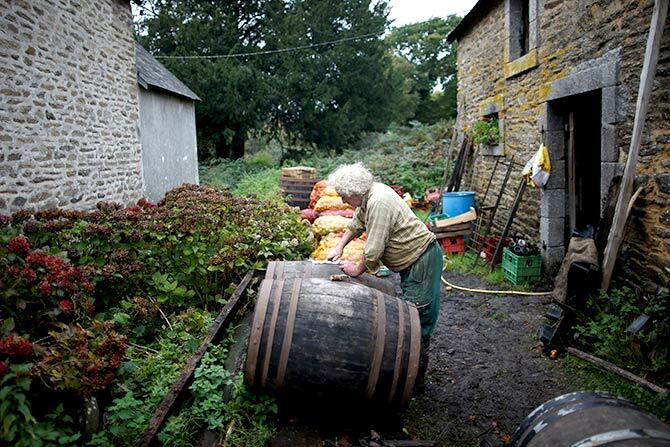 The 70-year-old inspects a barrel used for cider at his farm. 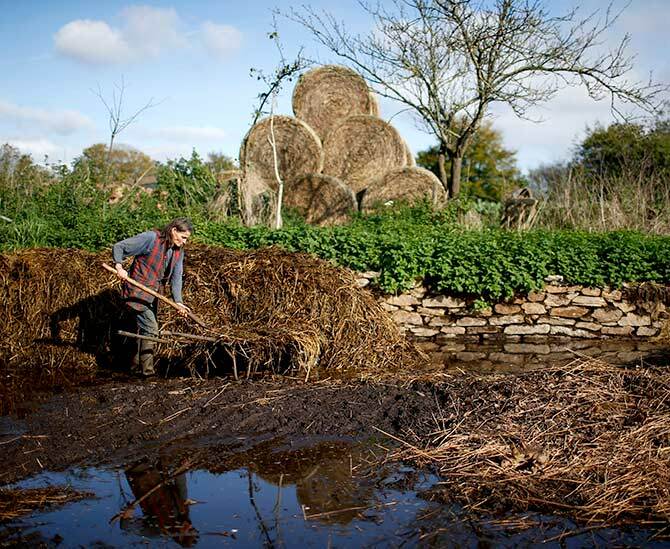 His earthy existence resonates at a time when intensive farming is increasingly criticised and local, organic food supply is in vogue. 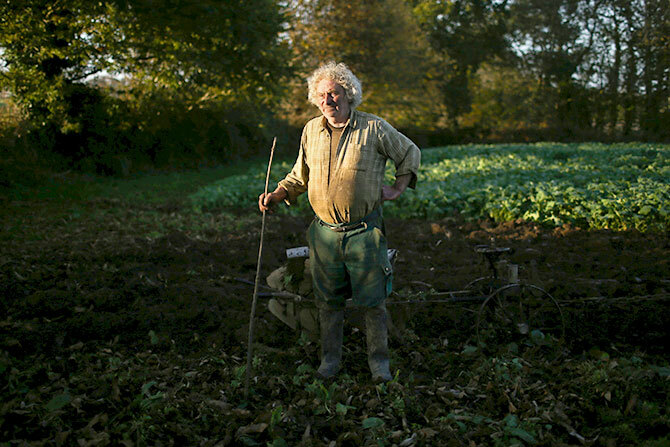 French farmer Jean-Bernard Huon, 70, looks on as he works on his land near his farm. 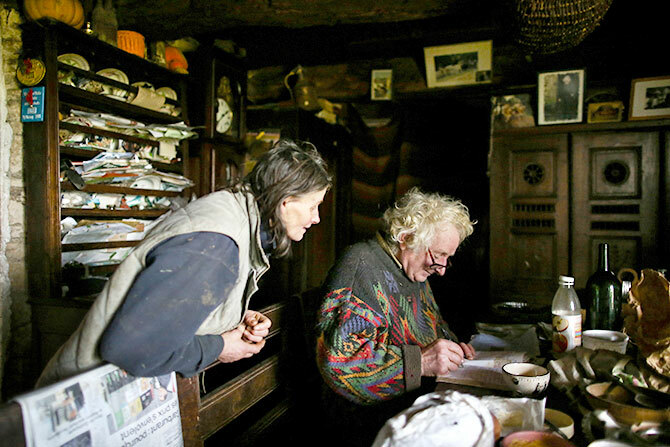 The French farmer writes notes beside his companion Laurence, at their farm. 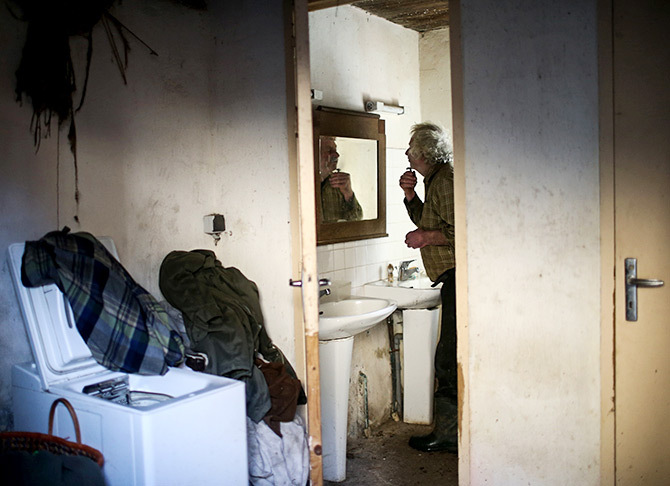 French farmer Jean-Bernard Huon, 70, shaves in the bathroom of his farm in Riec-sur-Belon, France. 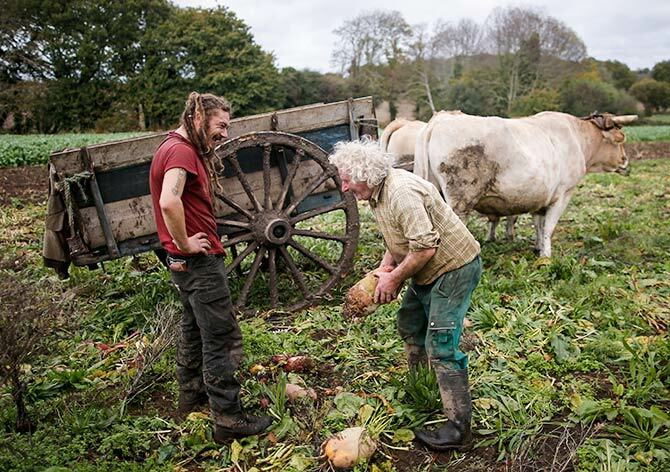 Huon, 70, and his friend Jeremy harvest beets on land near his farm. 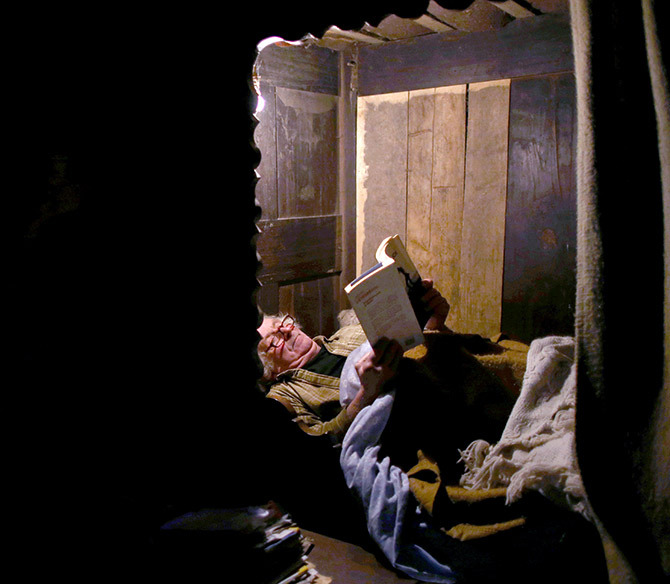 Huon reads a book in his room at his farm in Riec-sur-Belon, France. PHOTOS: The wonderful wild, wild world! Awwww... The cutest hug ever!